The Hohner Student 32 Melodica, Black is a 32 key Melodica that is designed for entry level and advanced players. It comes with a flexible tube and mouthpiece as well as a durable carry case that can be doubled up as a music stand. 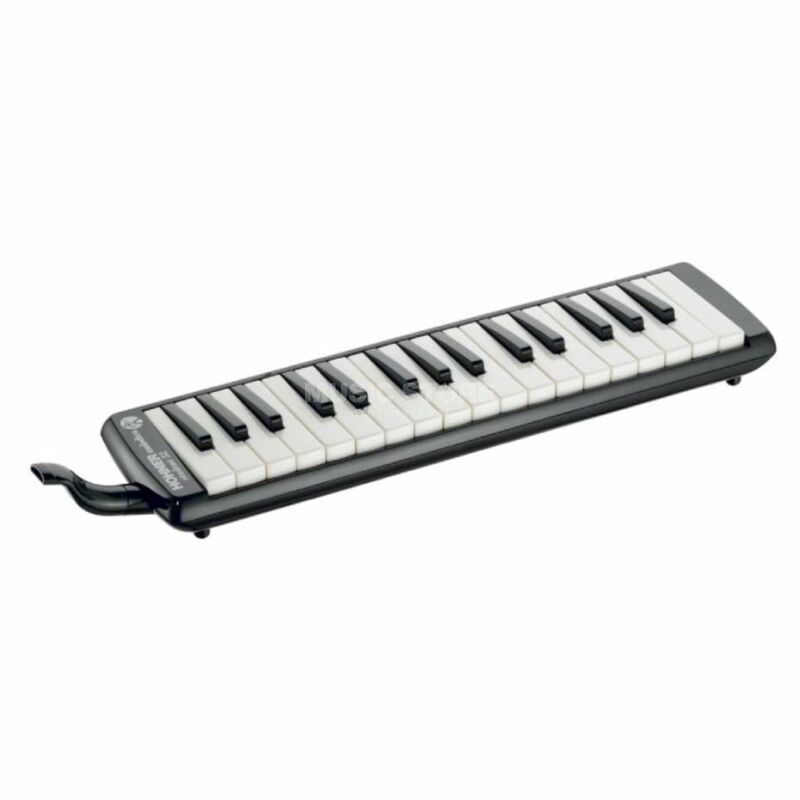 The Hohner Student 32 Melodica is a frictionless and comfortable instrument to play. This is an incredible instrument! It has a nice, rich full sound. The extra tube allows one to have it on a table, to be easier to play with both hands. Now, I wonder if I can get some sort of air pedal to work with this thing and save my lungs from collapsing! Comecei a tocar melódica porque queria o som do acordeão no meu projecto acústico, sem ter que andar com muito peso atrás. A melodica hohner é a solução. Exclente som e excelente tocabilidade. Atenção a limpá-la muito bem depois de tocar. Deixei a minha 1ª ficar com muitos residuos e durou cerca de 2 a 3 anos até ficar demasiado desafinada.